No item(s) in this category. 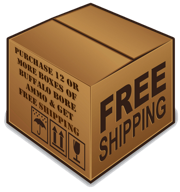 Home » Technical Articles» WHERE CAN I FIND YOUR AMMO IN STOCK? I am constantly asked if we have stocking dealers in cities throughout the USA and if we do, what items those dealers have in stock at any given moment. We sell our products to numerous large distributors, who in turn sell to retail guns shops all around the U.S., who in turn sell to the public. There is no way for us to know what gun shops, which distributors sell our ammo to on any given day….. and even if we could know that, ammo inventories that are sitting on gun shop shelves, change by the minute as the ammo sells to the public…….there is no way for us to know what gun shops have what items in stock at any given time. Thank you for your business and please have a good day.